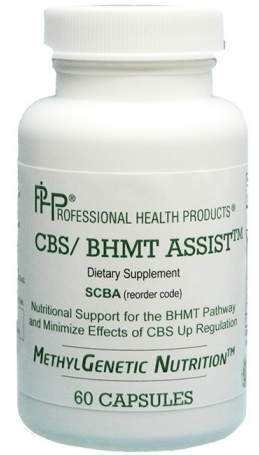 CBS/ BHMT ASSIST II ** The BHMT variant inhibits the conversion of homocysteine into methionine through what is called the middle pathway. The CBS variant is an upregulation, potentially causing homocysteine to rush down the transsulfura-tion pathway at up to 10 times faster. Even without the BHMT variant, supporting the BHMT pathway to make it more efficient is useful when someone has the CBS variant. 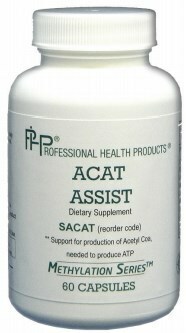 Supporting digestion is always helpful as well with BHMT. This is why we made a combination product for BHMT and CBS. It can be used if the individual has both or either one. This product will also be helpful for those with PEMT variants, as it provides choline.